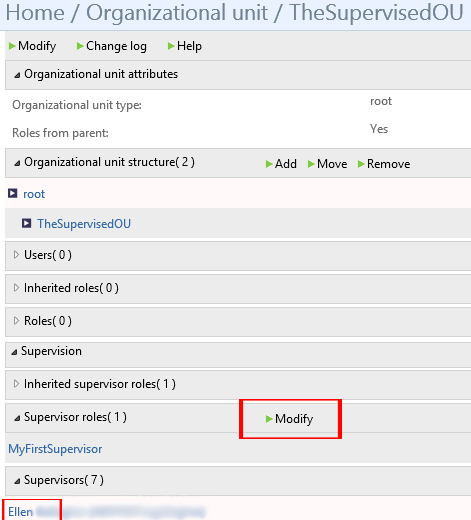 How to allow a user with a supervisor role to manage other users' roles? How to allow a user to delegate his supervisor role? 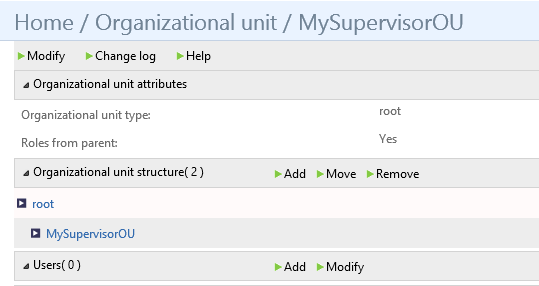 As I have mentioned earlier, the default supervisor role can manage all objects, therefore by default it will be linked to this object we are creating. We would like to allow Ellen (our test user) to manage other users. Right now, using the self-service portal, she can only request roles for herself and view her own roles. 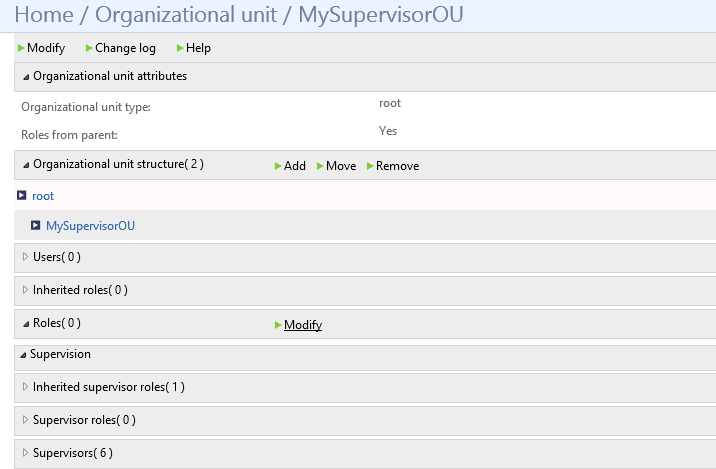 Create a new OU under the root "MySupervisorOU"
Search for, and add "MyFirstSupervisor" to "MySupervisorOU"
Expand users, and click Modify to Add Ellen to this OU, which will automatically give her "MyFirstSupervisor"
Delegation is basically assigning user's role to someone else to perform his/her job. In the example above, we linked "MyFirstSupervisor" to "MySupervisorOU" as an effective role, therefore, Ellen will not be able to delegate it. For that, we will need to change the link between "MyFirstSupervisor" and "MySupervisorOU" to be proposed. We have to go back to step 3 and 4 above, remove "MyFirstSupervisor", and Add it again. However, this time we will choose it to be proposed. 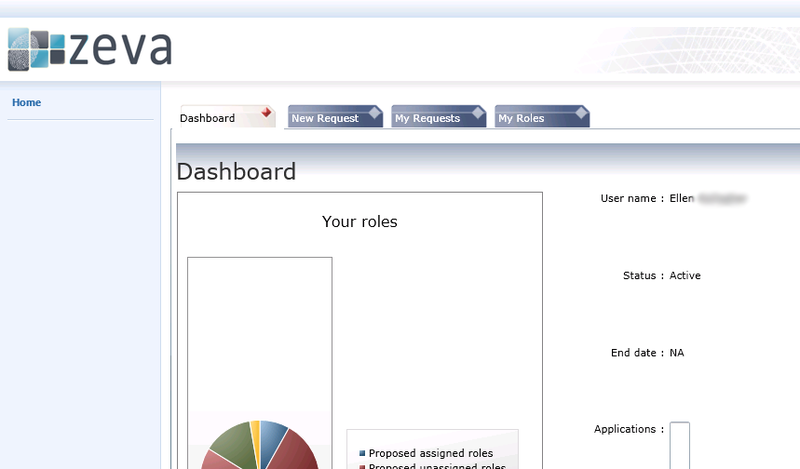 Now, Ellen should be able to go to the self-service portal and delegate the role to someone else. 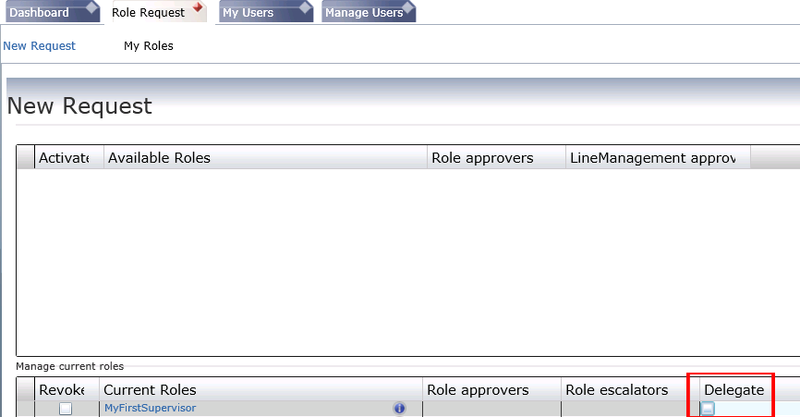 As a result, whoever she delegates the role to, should be able to add/revoke roles for those users in "TheSupervisedOU".